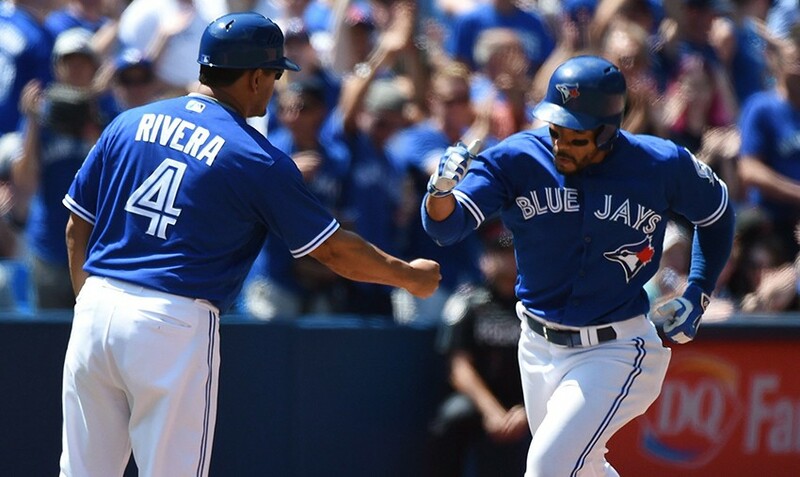 3 Up 3 Down: Tulo Hurt, Chavez Not Good and Morales Gone? 3 Up 3 Down: Tulo Hurt, Chavez Not Very Good and Morales Gone? Their lead top the American League East may have lasted less than 24 hours, but the Toronto Blue Jays enter the non-waiver trade deadline just a half game back of the division lead and they occupy a playoff spot. 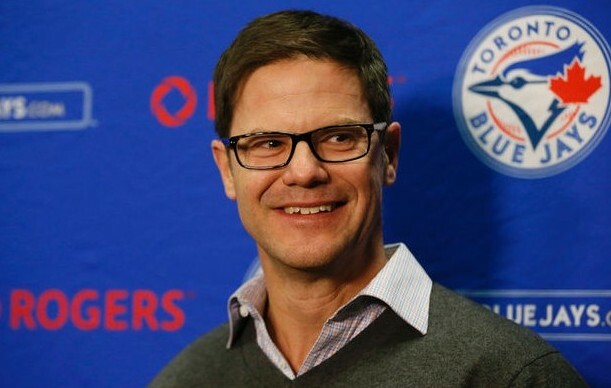 It’s an envious position for the Jays as most teams are either frantically selling or buying today ahead of the 4pm non-waiver trade deadline. I wouldn’t expect the Blue Jays to pull off anything today, but crazier things have happened … just look at last year. Anyway, it was an eventful weekend for the Blue Jays as they may have potentially lost their stating shortstop to another injury, one of the relievers they acquired this offseason posted yet another tough outing, and another reliever may no longer be a Blue Jay altogether. Tulo, Chavez and Morales are all covered in this edition of 3 Up 3 Down. Man, was it tough to watch Troy Tulowitzki get hit by the inside pitch from Chris Tillman, yesterday. Initially it didn’t seem all that bad, but when Tulo emerged for the 7th inning with a fully taped wrist and hand, that’s when it looked like the injury was worse than initially thought. Troy Tulowitzki has since been diagnosed with a “chip fracture”, and his status with the team hinges on whether he can grip and hold a bat or not. Yesterday, Tulo had a thumb wrapped up, but he wasn’t able to grip the bat. It would not surprise me at all if Tulowitzki misses this entire series in Houston, and depending on the severity of his injury, it could mean Tulo might hit the disabled list for the second time this season. It’s odd because Tulo has sustained injuries not by playing home games on the artificial turf, he’s been the recipient of completely freak injuries. The Blue Jays can survive with Troy Tulowitzki on the disabled list, but obviously they’d prefer to have his potent bat in the lineup and his glove at shortstop. Ryan Goins could step in and provide the same level of defense, but nowhere near the same offensive capability of Tulo. It was another outing and another home run surrendered by Jesse Chavez. On that home run, Chavez also allowed another two inherited runners to score, which runs his season total to 15 inherited runners to score. That pushes his conversion rate to 48.4%, which ranks Chavez among the worst relievers in all of baseball for allowing inherited runners to score. While there is an element of luck there, Chavez overall has been extremely non-clutch in high leverage situations for the Blue Jays this year. He was only tagged for one earned run in that appearance, but all too often, Jesse Chavez cannot be counted on with the game on the line. In Chavez’ defense, it was the 12 inning at the point and John Gibbons had already burned through his best relievers. But you’d expect Jesse Chavez would at the very least would put the ball in play and not immediately surrender a home run. It may not show up in the box score, but games are often decided well before the eighth or ninth inning, when middle relievers like Jesse Chavez tend to decide the game, one way or another. Quite often, Chavez has been prone to the long ball at the absolute worst time. I don’t think we’re quite into DFA territory with Chavez, but considering what happened to Drew Storen last week, maybe the Blue Jays just don’t have patience anymore with middling relievers. Franklin Morales is No More? Speaking of middling relievers … hey, how about Franklin Morales? According to this tweet from Barry Davis, Morales didn’t make the trip with this teammates to Houston; meaning he’s either been designed for assignment or simply released. If the report holds true, this might prove to be the worst $2 million dollars spent by the Blue Jays this season. They only have gotten five appearances and four innings out of Morales since signing him way back in Spring Training. Clearly, the most concerning thing about Franklin Morales is his dramatic drop in velocity. He’s apparently gone from throwing 92-93 MPH last season to a mere 87 MPH this year. This isn’t just a 1-2 mile per hour dip, it’s a good six miles per hour off Morales’ fastball. For a reliever, that’s huge. And the mystery surrounding Morales’ status the past few weeks has been quite murky, making many question why the Blue Jays waited until the very last possible second to re-activate him off the disabled list. This dramatic dip in velocity and Morales’ latest appearance may have been all the organization needed to send him out the door. If the Blue Jays do in fact get rid of Franklin Morales, they need a reliable lefty in the bullpen more than ever. Brett Cecil may be on his way back, but it’s still too early to declare whether he’s “second half of 2015” Cecil again. The Jays need another solid lefty in the bullpen, and stat. If in fact he’s lost velocity, I really don’t understand why he was even used in that situation. Why was chavez not used to start the inning? And where the heck was biagini? Aren’t these guys supposed to be long men? Perfect time for them to go 3 innings each. At least lose with your best not your worst. I don’t think we need 2 lefties in the bullpen given that neither can be trusted vs righties. I would rather go with tepera.